If you read the book Stocks on the Move, you know all you need for managing a momentum stock portfolio. If you also have access to properly adjusted historical data, including cash dividend data, as well as a solid simulation platform and enough technical know-how to construct a good simulation and signals environment, then you can do this yourself. As it happens of course, not everyone has access to such expensive tools and programming knowledge. Well, you’re in luck. We’ve just started offering all the information you need to implement a professional momentum portfolio, at a price level accessible to retail traders. 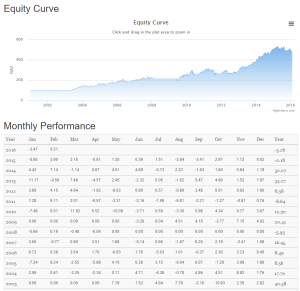 The ranking table is the key tool you need to manage an equity momentum portfolio. 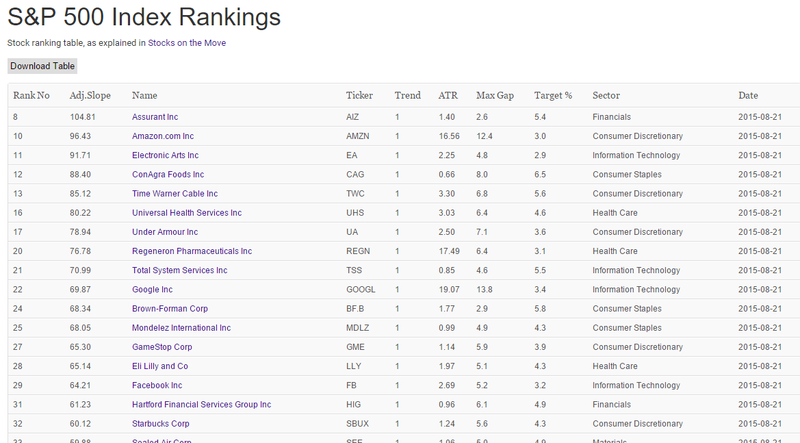 This table, updated daily, shows you the top ranked momentum stocks in the S&P 500 index. 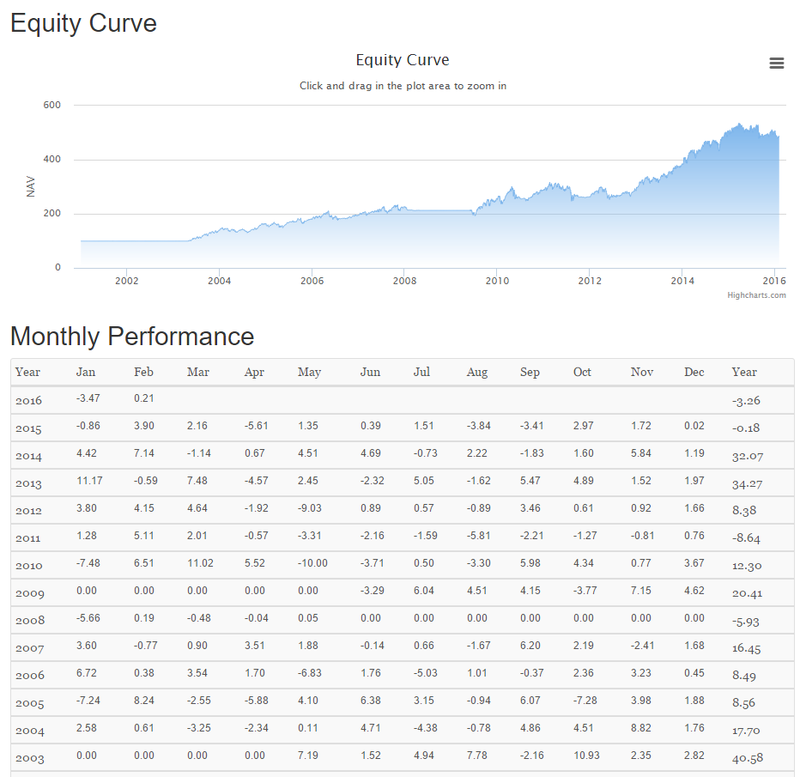 For each stock, you can see the volatility adjusted rank, the trend direction, current ATR value, the maximum gap, target portfolio weight, sector etc. This table is all that’s required to run an efficient equity momentum portfolio. For each stock in the S&P 500 index, you can see an interactive chart, fully adjusted for cash dividends which is not the case with most data available to retail traders. Here you can also see how the rank is changing over time as well as how the target weight is changing. This tool helps you maintain your portfolio, allowing you to look up the stocks you own and see how you should change their allocation over time, when you should exit etc. This display screen shows how the exact model discussed in Stocks on the Move is performing and what stocks it’s holding at any given time. Here you can follow exactly what this model does and how it trades. You could either implement this portfolio as it stands, or use it to validate your own variation, comparing your results to what this screen shows. 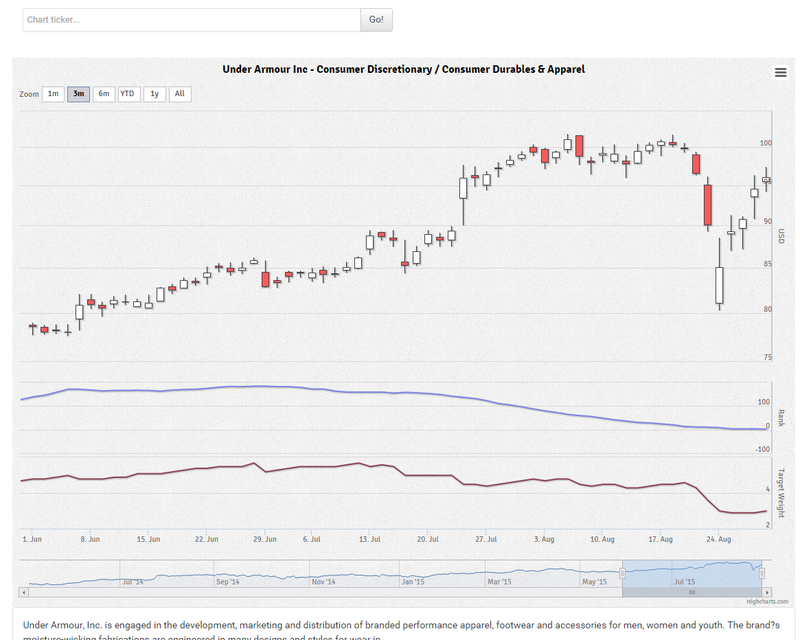 For the currently held portfolio, you can see the sector allocation, current weight, trend analytics etc. Together, these analytic displays will provide you with a turnkey solution to manage your money according to a quantitative momentum approach, developed for hedge fund use. All the details on how this is done is explained in Stocks on the Move. You could build your own tools to do the same thing, or you could save some money by simply subscribing to this report for $14.99 a month. 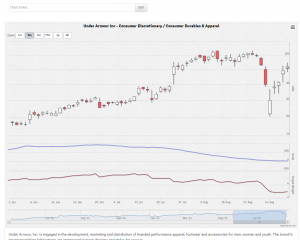 Full access to all you need to manage an equity momentum portfolio. 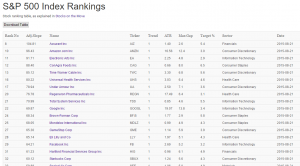 You get a daily updated ranking table, showing the volatility adjusted momentum rankings for all stocks in the S&P 500 index. For each stock, you can see not only the momentum adjusted ranking but also the target portfolio weight and other analytics explained in Andreas Clenow's book Stocks on the Move.